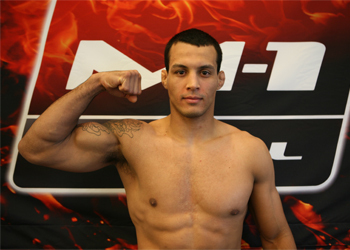 M-1 Global has announced Brazilian jiu jitsu specialist Vinny Magalhaes will face Viktor Nemkov for the vacant light heavyweight title at “M-1 Challenge XXV: Zavurov vs. Magomedov 2” on April 28th. The freebie fight card takes place inside the Ice Palace in St. Petersburg, Russia. Fans can catch the action live on M-1Global.com starting at 11AM ET/8AM PT on Thursday, April 28th. Welterweight title holder Shamil Zavurov will defend his crown against Rashid Magomedov in the night’s other championship affair.